We bring forth a wide range of Drive Shafts that are widely used for connecting components of a drive train. 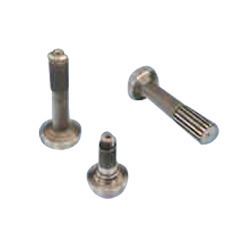 These shafts find application in engineering as well as automobile industry. We offer these shafts in different specifications to meet the bulk requirements of our clients. These are generally made in tubular design in order to safeguard an interior metal cylinder. We offer these Drive Shafts at unbelievable prices.